I first met Adam at work, he held a fitness class for any staff that wanted to come along. I attended every now and again and although I enjoyed being the class clown, making everyone laugh at how unfit I was and abusing poor Adam, I never really committed to the class. It wasn’t until my Father had a serious heart attack where we almost lost him that I realized I had to change my current lifestyle so I didn’t end up in a similar situation. I was the obese 70+ kg girl that would have chocolate and V energy drinks for breakfast, followed by ridiculous amounts of fast food, and to wash it all down a few litres of fizzy drink a day. 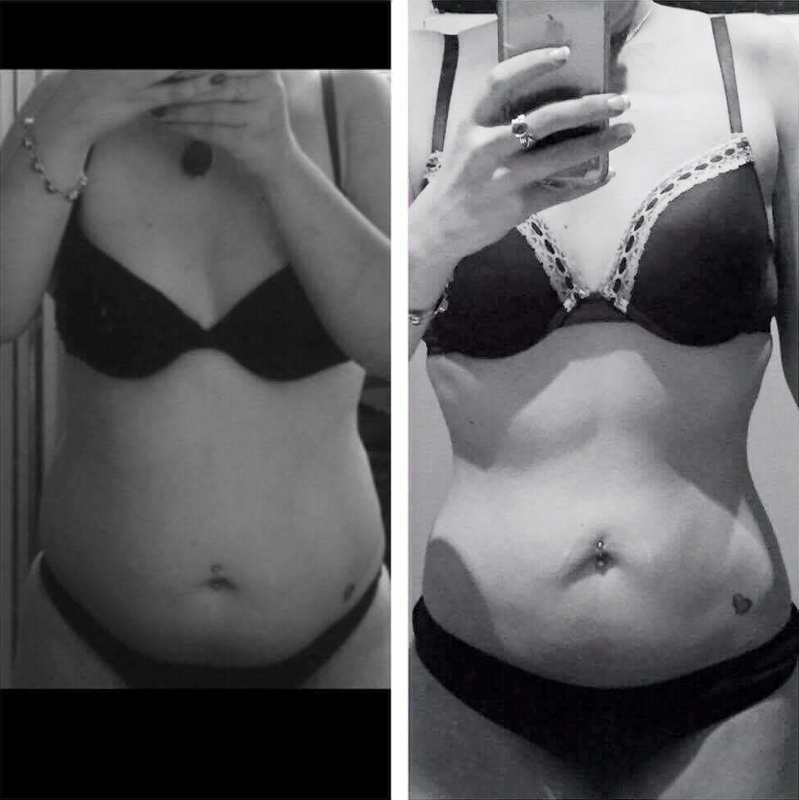 I decided it was time to get in touch with Adam as I needed help to lose this extra weight, and to become generally healthier and fitter. So it began – One on One Training/Torture with Adam twice a week, an eating plan designed for fussy me by Adam and an early morning hill climb at my gym 3 times a week. But just to throw a spanner in the mix I gave Adam 3 months. He had 3 months to transform me as I had an important family gathering that I didn’t want to look like a big fatty for. I first weighed in at just over 70kgs, I had already lost a bit of weight after Dad had the heart attack, but that was not in a healthy way due to stress. Adam promised me that if I stuck to his eating plan, and committed to the training he would get me down to 59kgs in that 3 months. Now I knew Adam was good but no way did I think he was that good. I also knew myself, I knew I would struggle. Chocolate Mud cakes and Pizza were potentially going to be my downfall. For me that goal seemed out of reach but according to Adam I could do it. Adam supported me through the pain of training and with all my slip ups, yes there were days where the pizza or mud cakes did win, but we just remained focused and stayed on track. There were times I couldn’t make training but Adam was always flexible and made up for missed training sessions, and was always at the other end of the phone if I needed to check in with him. So 3 months later at my weigh in I had done it. WE had done it! Adam had got me down to the goal weight of 59kgs! I was not only happy with the result, I was shocked that it could even happen – especially to me. After seeing the results I’m kind of addicted now. I still feel like we have a bit of work to do so another goal will be set, and I’m sure Adam and I will smash that too.